High foaming tendency and slow foam collapse time are two undesirable responses of engine oils and hydraulic fluids which can result in mechanical failure. 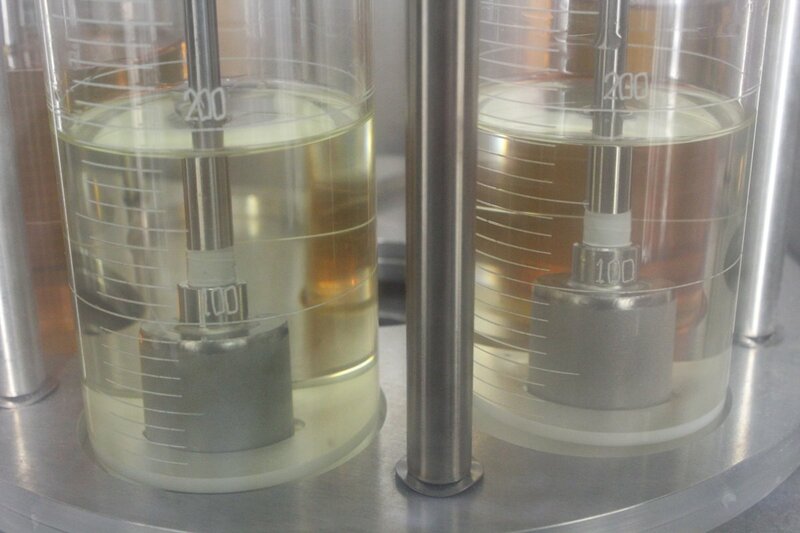 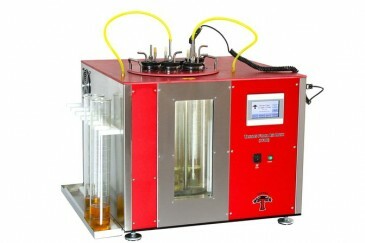 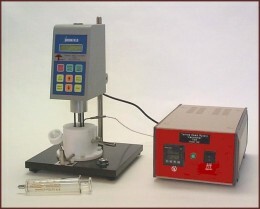 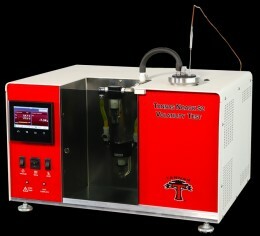 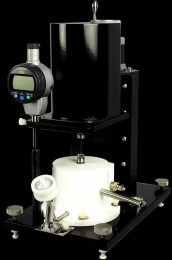 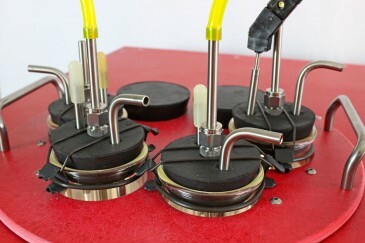 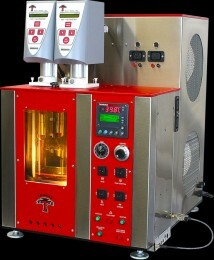 The TFAB™ measures the tendency and stability of foam additive effectiveness in oils and lubricants over a broad temperature range (24°C to 150°C). The single air bath approach of the TFAB™ dramatically reduces bench space requirements, eliminates the need to replace oxidized (discolored) bath oil, permits more accuracy in reading foam levels, and significantly reduces the hazards of operating sequences of higher temperatures. 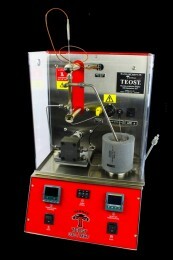 The TFAB™ has shown correlation in ASTM round robin studies and has assisted in ASTM efforts of improving the test method precision.